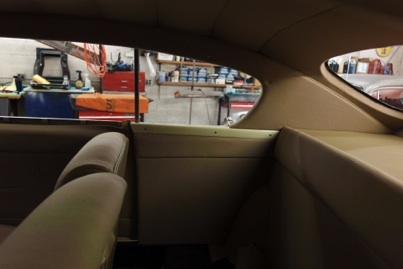 Progress has been made on the interior of the car. 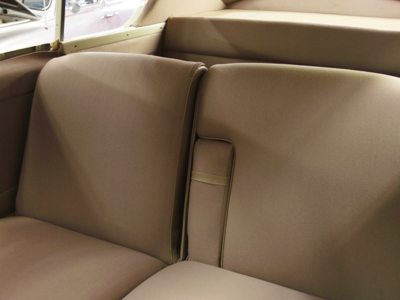 The trimmer has finished the seats, and headliner, door panels. 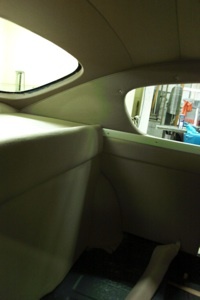 The side panels and seats were placed loosely in the car for viewing and to see about any corrections. Little was needed – the work is lovely. The bits are fascinating. 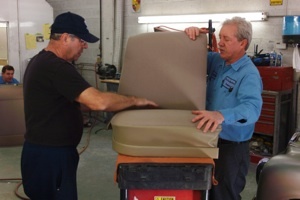 Each upholstery panel and many of the trim pieces are numbered to the car. 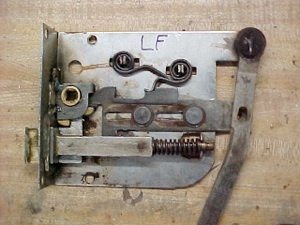 The door locks – they come out, come apart, and get put back in. They are like works of art – functional, but beautiful. 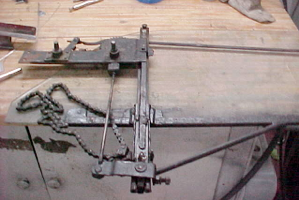 The window winding mechanism is a chain running around a double gear cluster on the top and an idler on the bottom. It has to be cleaned, and needed a new double gear – supplied by Omicron. The desktop serves as Information Central – there are five boards of photos of other B20’s, used as daily reference. 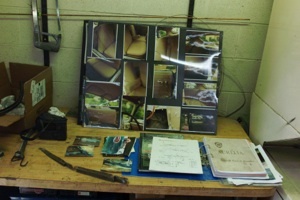 A parts book, LMC workshop manual, and photos of the car before it was taken apart all come in useful. 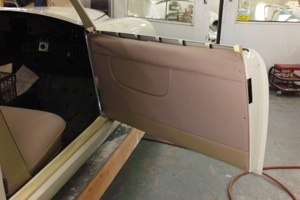 There was in the car, used as a spacers behind a front quarter panel. All this information helps makes the project one of good problem solving, not invention. Its looking good, Nice job there. 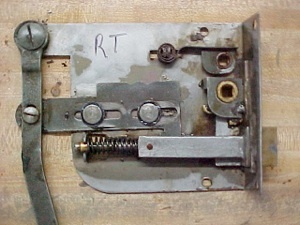 also first time i have seen the inside of a door lock.